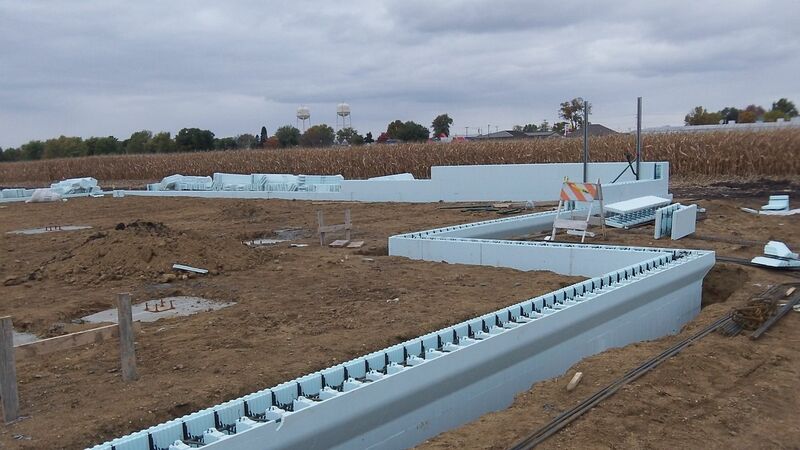 The current library in Farmington, Illinois—a 278-m2 (3000-sf) building dating back to 1906—is finally being replaced with a sustainable, sound-resistant facility employing insulated concrete forms (ICFs). 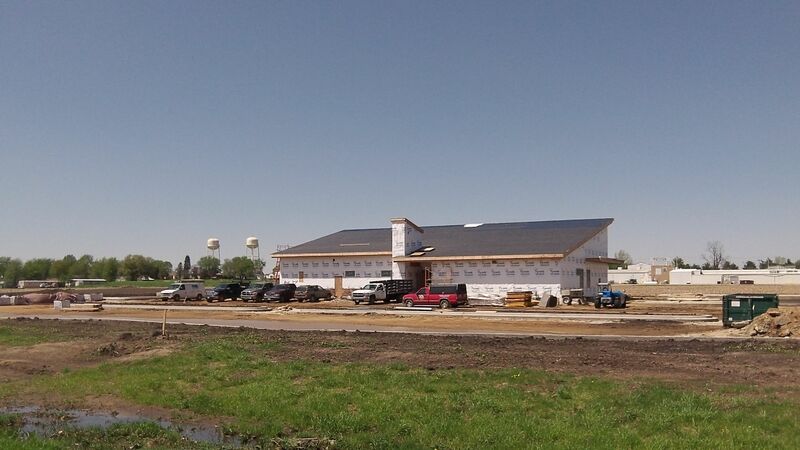 ICFs were specified for the new 836-m2 (9000-sf) Farmington Area Public Library project due to their ability to cut energy costs by as much as 70 percent. The material also creates a resilient building envelope that can withstand hurricane and tornado impacts of up to 402 km/h (250 mph). 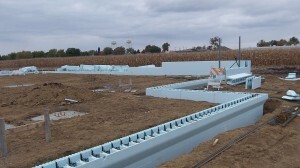 The ICF system interlocks to create one monolithic wall with a thickness from 101 to 304 mm (4 to 12 in. ); in addition to a fire-protection rating of up to four hours, it also provides temperature control and sound resistance, which is ideal for library applications. Project architect Mark Misselhorn of Apace Design (Peoria, Illinois) knew of ICFs being incorporated into residential designs, but was initially unsure if the construction was right for the new library. “I needed to know more before I could agree it was good for a public building, where design and construction standards are very different from homebuilding,” he explained. Cost was a key concern, as local taxpayers who agreed on a community measure to fund the project would not approve a budget increase. The design plans also called for a dramatic high-low roofline, explained Misselhorn. Designers needed to ensure ICFs would be structurally sound and support all design features. A thorough study of operational considerations, costs, and benefits was completed before ICFs were specified. Exterior construction prior to addition of exterior cladding. Additionally, the project team extended the environmentally responsible nature of the construction by specifying high-quality insulation, energy-efficient HVACs, and high-efficiency fixtures designed to take advantage of natural daylighting. Bishop Brothers of Peoria signed on as general contractors and in September 2013 ground was broken on the library project. Though they had never previously worked with ICF construction, the contractors were up for the challenge. The concrete team provided a 27,500-kPa (4000-psi) mix with uniform, 19-mm (¾-in.) aggregate for the job. Accelerators were not needed because of the ICF insulating properties—as the concrete generates heat from the hydration process, most is retained in the walls. better air quality—laboratory tests confirm ICFs do not support mold growth or any of the health irritants that arise from airborne mold spores. With much of the exterior elements in place, the project team has moved on to interior finishing. 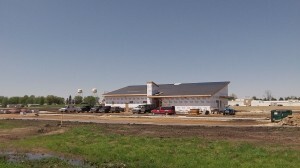 Despite construction delays, the 836-m2 (9000-sf) facility may open as early as September. Meanwhile, visitors to the existing library can learn about ICF construction at a special hands-on exhibit. Along with presenting examples of the products utilized in the construction, the exhibit explains some of ICF’s benefits and sustainable features. “ICF construction is not well-known in our area yet, and people want to know more about it,” said library director Barbara Love.